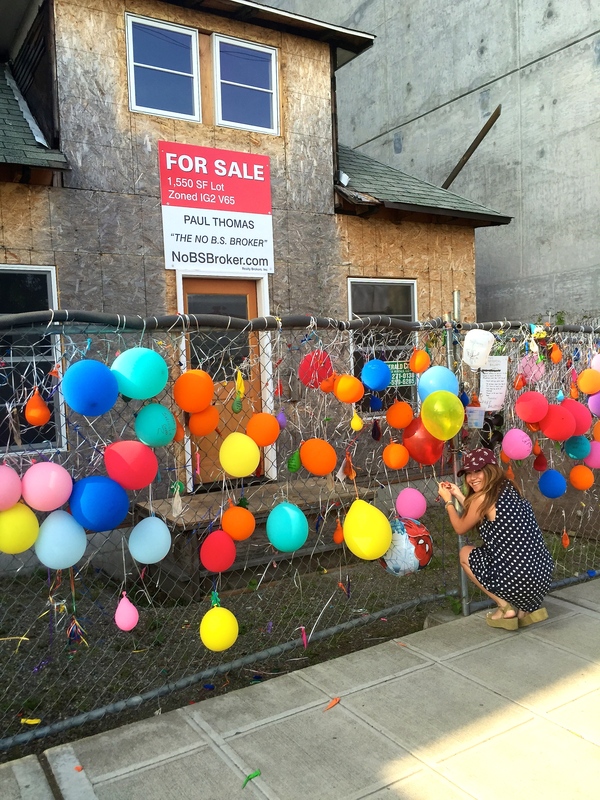 A true Seattle Landmark, no doubt. 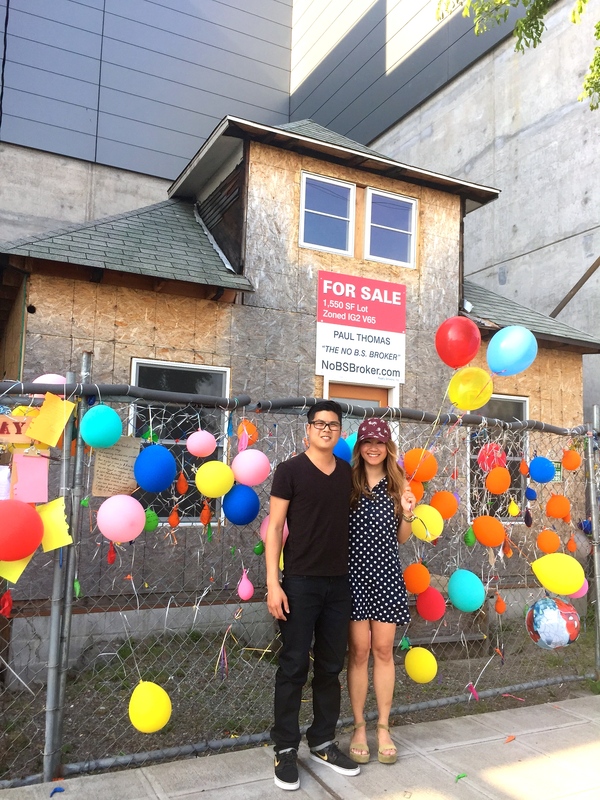 I was so excited to learn that the house that inspired the Disney movie UP! is located here in Seattle! 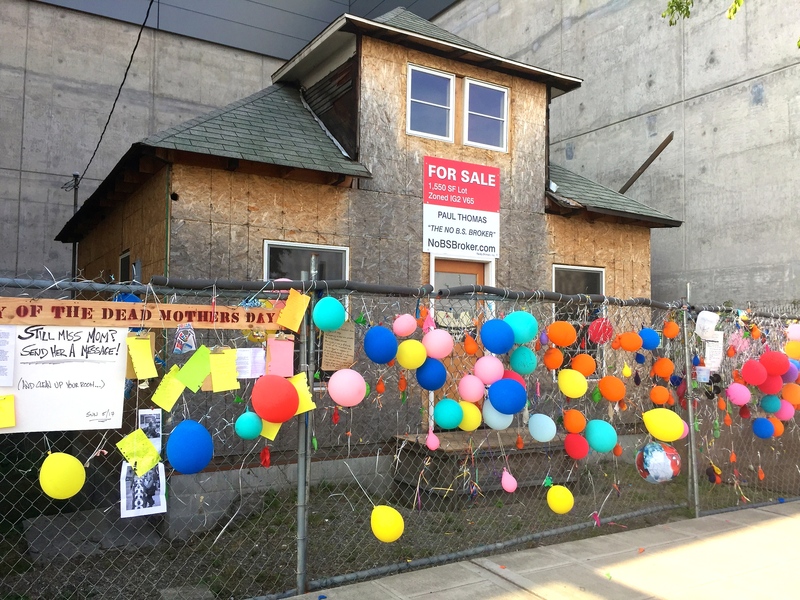 Nestled between (literally) the Ballard Blocks shopping center is the tiny house of what was Seattle’s Last Super Hero, Edith Macefield. 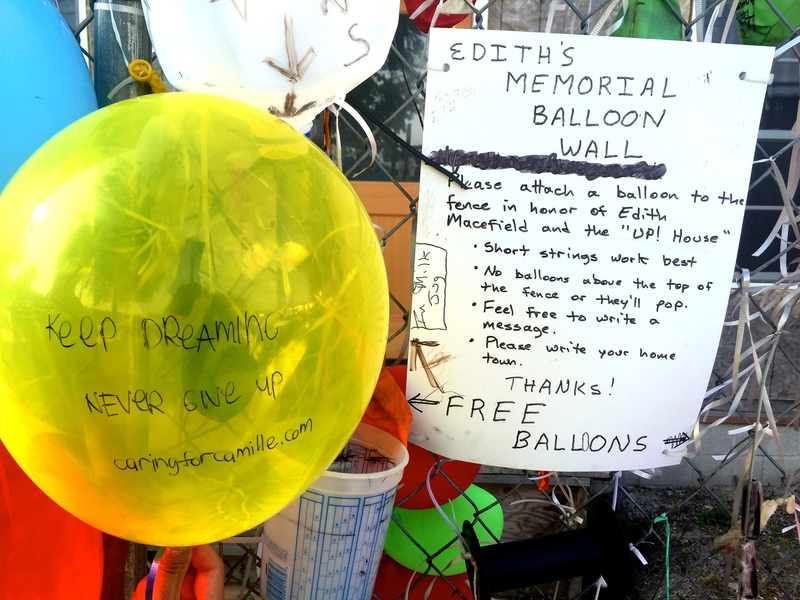 Sadly, Edith passed away in June 2008. No heirs, no living relatives, she’s said to have left her home to one of the construction workers who’s been taking care of her for the last few years. It’s absolutely worth checking out if you haven’t, especially since nobody’s sure how long it will remain. It is somewhat depressing because it’s all boarded up, but inspirational nonetheless! 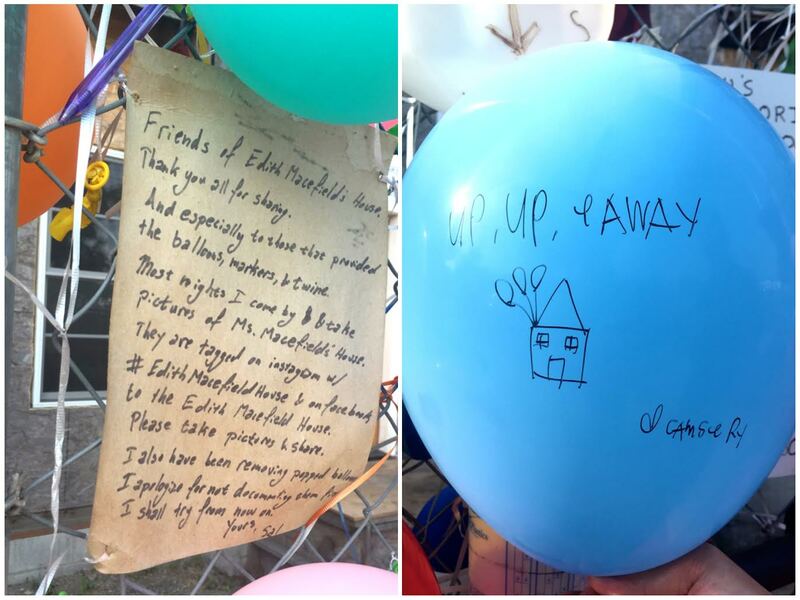 There are loads of balloons attached to the fence where you can leave a special note!